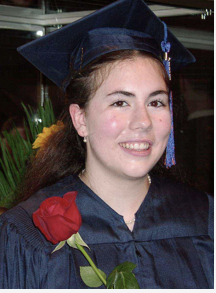 The picture shows her on the day of graduation from in May, 2003. This entry was posted in Uncategorized and tagged Emily, life, school. Bookmark the permalink.